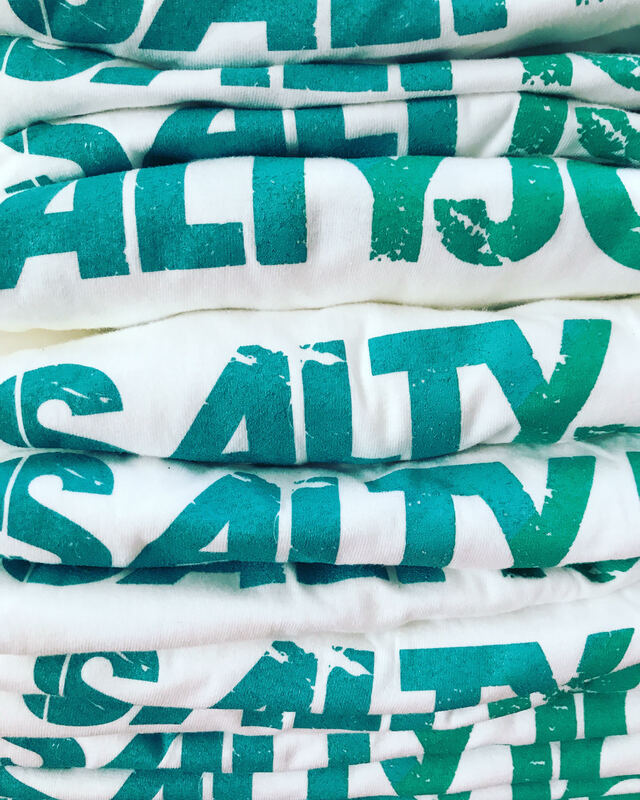 Classic SaltyJobs t-shirt in super smooth 100% cotton. Limited sizes available in each men’s & ladies’ fit, from adult S M L to XL. 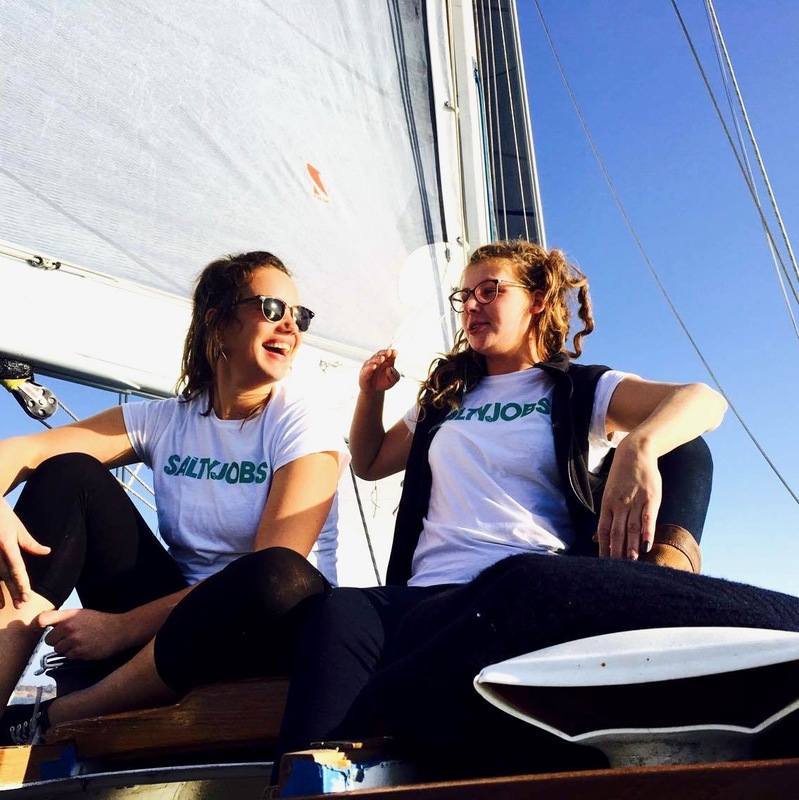 This product is to purchase the fitted ladies’ style t-shirts. 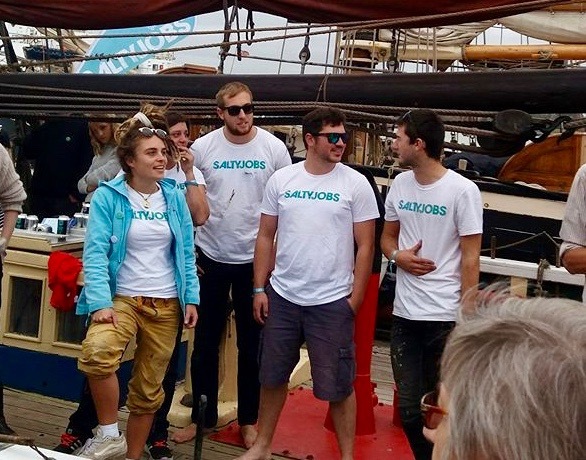 Locally screen printed in Devon, with a two-colour screen print, on these bright white shirts. 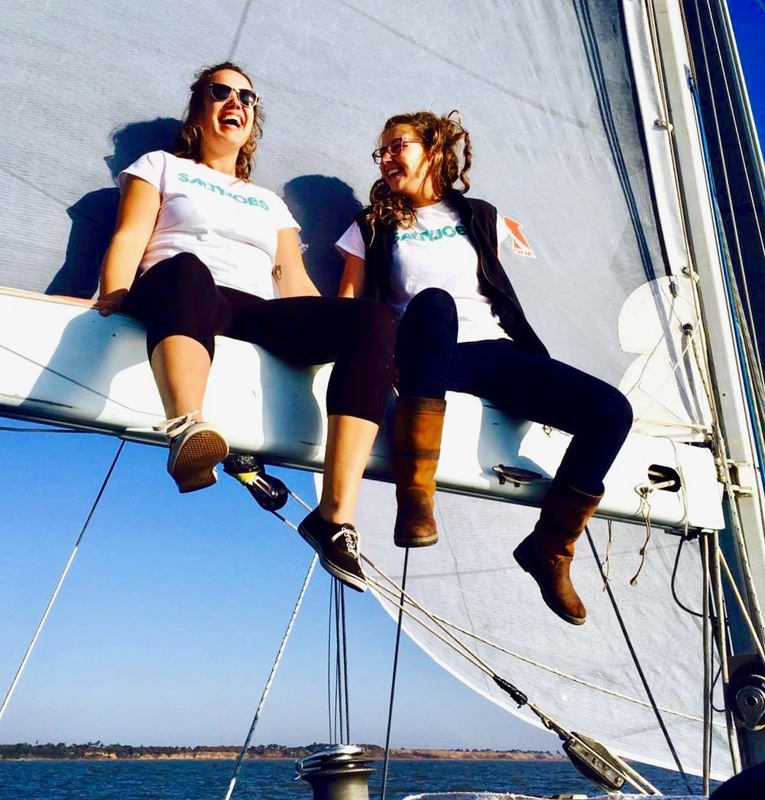 Printed using environmentally conscious water-based inks. These are a small fit so we suggest ordering a size bigger, or more, for a comfortable fit. Send us a message if you can’t decide and we’ll help you choose. They’re a medium length, and the sleeves are short but loose fitting. Please select your size below to order. More sizing details below. Want a discount? Become a member by purchasing SaltyJobs Crew Membership! 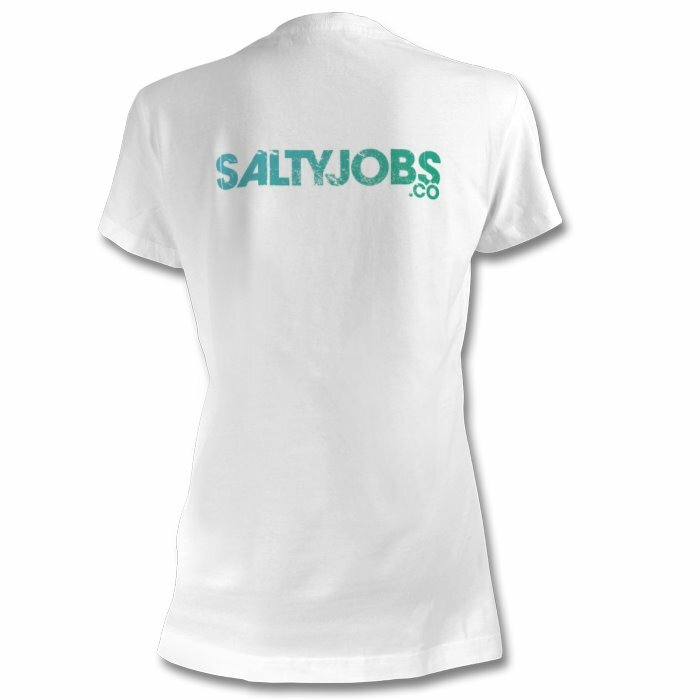 Super smooth 100% cotton SaltyJobs t-shirt. They’re printed with the two-colour logo on these bright white shirts. 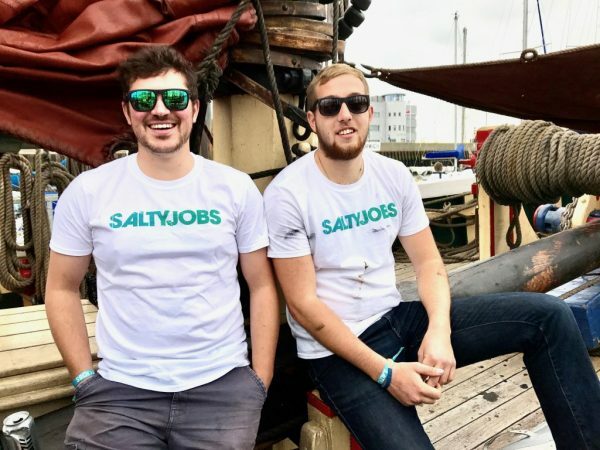 Each t-shirt has the ‘SaltyJobs’ logo on the front, and the ‘SaltyJobs.co’ logo across the back. Limited sizes available in each, from adult S M L to XL. These ladies ones aren’t a generous fit. We know these sizes don’t accurately describe them. They come up very fitted resulting in a generally small fit. For some this is OK, but we’ve learned that most of our SaltyJobs Crew like a looser fit so recommend ordering larger anyway. 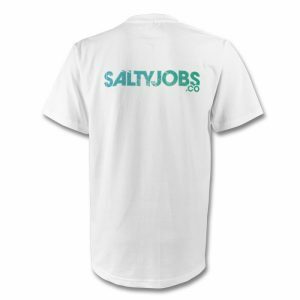 We also have the classic SaltyJobs t-shirt available in a men’s fit. If you like a really baggy t-shirt, this could be an option for ladies too.